We review the best code editors, and offer some advice on how to choose the one for you. Finding the best code editor can have a big impact on your productivity and workflow. Whether you are new to the world of programming or an old hand, you'll need a great code editor to help you perform your magic. 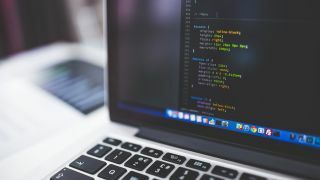 The best code editors will make you more efficient at coding and writing, assist you in examining and editing your code, and be customisable to meet your needs. They will also create a more comfortable user experience, which should not be underestimated, as you’ll be looking at your code editor for potentially hours every day. There are dozens of text editors, code editors, IDEs, and more out there for you to choose from. So how do you pick? You really only want to have to make the switch to a new editor once in a while, as you'll lose some efficiency while you’re adjusting to the different software. On this page, we'll take an in-depth look at what we think are the five best code editors for developers and designers. Page 2 offers some more options to try out if you don't get on with the tools on this page, then on page 3 you'll also find information on what is a code editor, and how to pick the right code editor. And while you're considering your toolkit, take a look at out guide to best web design tools right now. Sublime Text is the editor that really changed the way code editors worked. It is lightweight, open and ready to edit your file almost as soon as you have managed to click the button. This responsiveness is one of the things that makes Sublime Text the best code editor in its class. If you want to open a file and make a quick edit, waiting for a few seconds for loading may not sound like much, but the delay can grow tedious. Another big benefit of Sublime Text is that it is crazily extensible, with a huge and ever-growing list of plugins available to install via the package manager. Options include themes with which to customise the editor’s appearance, code linters (which can assist with more quickly locating any errors in your code), Git plugins, colour pickers, and more. Sublime Text is free to download and start using, but for extended use you'll need to shell out $80 for a licence – and the programme will remind you fairly regularly about payment until you cough up. If you decide to pay, the same licence key can be used by you for any computer that you use, so you can enter the same code on all your machines to make the payment reminder popup go away. The paid licence, however, is perhaps Sublime Text’s biggest downside – there are a number of competitive products available to developers for no cost. Visual Studio Code is a code editor developed by Microsoft, and surprisingly, is an open-source software. VS Code is perhaps the closest code editor in this list to being an IDE. It is very robust, and is also one of the slower programs when starting up. However, while using it, VS Code is quick and able to handle quite a few interesting tasks, such as quick Git commits or opening and sorting through multiple folders’ worth of content. VS Code has seen a meteoric rise in popularity – it is continually growing its user base and attracting developers away from other editors. VS Code has a built-in terminal, as well as built-in Git support, both of which are big winners for fans of this program. Its ‘IntelliSense’ feature offers autocompletion of code as well as information on the parameters of functions and known variable names. Atom is open source and developed by GitHub. In its initial development, it was heavily influenced by the new style of editor made popular by Sublime Text. However, there are key differences: Atom is free and open source, and offers easy out-of-box integration with Git and GitHub. Atom has historically had performance and stability problems, but those have diminished significantly as it has matured. It’s true that it still launches slower than some editors, but it’s just as reliable and quick to use as any of the rest after that. Brackets is Adobe’s open-source editor, and seems to be a very well rounded software. It doesn’t natively support as many languages for syntax highlighting as some of the others (but it still has quite a few). Because of its focus on front end technologies, it also supports CSS preprocessors like Less and Sass. Brackets doesn’t come out on top on many of the usual speed and reliability metrics, but it does have several unique features worth investigating. It is mostly configurable via its menus, whereas most of the other editors in this list require you to edit configuration files (you can also edit the configuration file in Brackets if you prefer). There's also an interesting feature for quick CSS editing. You can use a hotkey to pop out a small section on an HTML page, then edit any CSS rules that are currently affecting the element that you have selected. This means you can quickly locate a styling problem and fix it without having to waste time searching around. Vim is perhaps the most contentious code editor in this list. Vim is a command line software, included natively with Linux operating systems and macOS, and available for download for Windows. Vim is a favourite for many old-school programmers, and keyboard enthusiasts. The program is navigated entirely via the keyboard, making it much faster and more efficient – but only if you make the effort to learn how to operate it. It is also extremely customisable (to the extent that a command line program can be customised). You can use a number of keyboard shortcuts to speed up the code editing process, and even better, create customised commands to fit your own workflow. Vim earns the award for the steepest learning curve and perhaps one of the worst user experiences overall, due to its complete lack of UI. Learning how to navigate Vim isn’t all that challenging, but building the muscle memory of shortcuts and figuring out how best to customise the editor (which you needs to do to get the best from this programme) takes a lot longer.